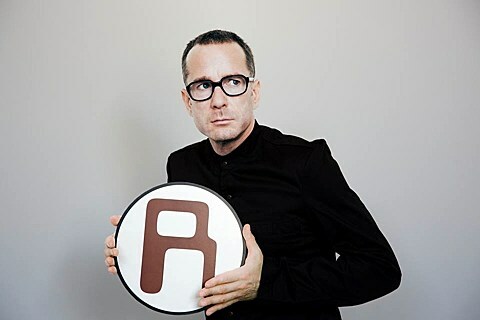 Matt Sharp’s post-Weezer band The Rentals are releasing their first new album in 15 years next week (8/26) via Polyvinyl, and are now streaming it in full on Pitchfork. They also recently announced a short tour, for which openers have since been revealed. The East Coast run will get their Polyvinyl labelmates Someone Still Loves You Boris Yeltsin on all three dates, with Polyvinyl alumni Mates of State joining in NYC and Philly, and Hooray For Earth in Asbury Park. Tickets for NYC, NJ and Philly are on sale now. The West Coast gets We Are Scientists (whose Keith Murray will be in The Rentals for this tour) and The Rentals’ old pals/tourmates/collaborators Ozma (who put out a new LP this year which is streaming below). All dates are listed below. Hooray For Earth have other shows much sooner than that, including a NYC show this Saturday (8/23) at Bowery Ballroom with Porches and Grooms. Tickets for that show are available and we’re also giving away a pair, along with a copy of their new LP, Racy. Details below. Also below is their new video for “Say Enough” from Racy and a stream of an experimental guitar track they recorded with Grooms. SSLYBY also recently mentioned that they’re working on a new album at Seattle studio Hall of Justice, where Nirvana recorded Bleach and which former Death Cab guitarist Chris Walla now owns. Beau Sorenson, who co-produced 2010’s Let It Sway with Walla, is producing. And last but not least, you can catch Mates of State in NYC much sooner at their previously discussed free show this Friday (8/22) at Pine Box Rock Shop. For a chance at winning tickets to see Hooray For Earth, Grooms and Porches at Bowery Ballroom PLUS a Hooray For Earth LP: either tweet something that includes both @BrooklynVegan AND “HOORAY FOR EARTH” in the tweet, or send an email to BVCONTESTS@HOTMAIL.COM with the subject line “HOORAY FOR EARTH”. Include your first and last name in the email. We’ll pick a winner at random and contact them with more details. If you enter by email, it will not be shared with anyone else. Good luck!